I like Lupita Nyong’o. Everyone does, right? She’s great. This is not about her. It’s about what you might call the white liberal construction of Lupita Nyong’o. Lupita Nyong’o’s riveting performance in 12 Years a Slave skyrocketed the 31-year-old newcomer to the Hollywood A-list. Millions of women rejoiced at the prospect of a stunning woman of color becoming the belle of the ball, and the news that she’d been tapped by Lancôme cosmetics to be their new brand ambassador. I love this news and see a fairly good fit with the brand – Lancôme has made serious efforts in the last 2 years to substantially increase at least their number of foundations for Black women. However, the rest of the lineup is not super WOC-friendly so hopefully they’ll work on that now that Lupita is onboard. Lupita once said that it was Alek Wek who helped her start believing that beauty wasn’t just “light skin and long, flowing, straight hair”. The video of Lupita meets Alek Wek is a must watch. The two gave us a state of the black models history in the 90s. Women of color remain underrepresented in all facets of media, most notably fashion and beauty. 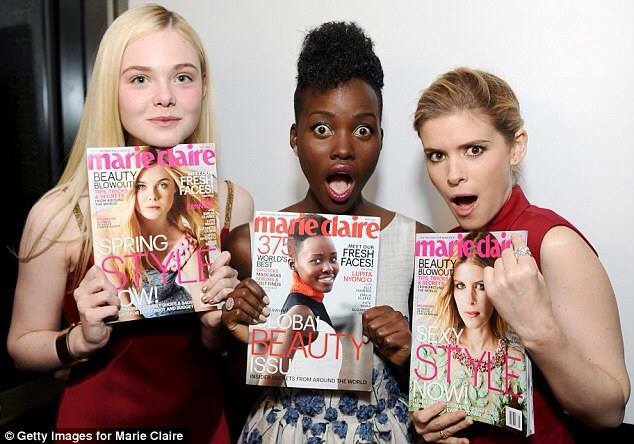 In a survey of over a dozen popular magazines, the Huffington Post found that 82% of women on the covers were white. Fashion is the field where I have observed the biggest influence of Lupita. Fashion lacks of diversity isn’t a new issue. Can we expect to see more black with blackness beauty models for the next coming years ? In advertising, on the cover of non-black magazine, and during fashion weeks events ? Like the beautiful Ajak Deng who, I predict, could become the next Alek Wek very soon. Ajak Deng is seriously one of the most underrated models there is right now. 5) Lupita & her movie career : What’s next for 2015 ? Lupita has been super discreet lately, seeing her only during the awards season with beau Jared leto, she tried to escape the celebrity frenzy a bit. 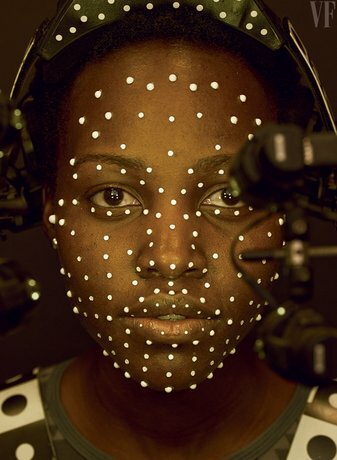 She will play Maz Kanata, a pirate in the upcoming Star Wars: The Force Awakens. Have you checked out the trailer yet ? The force is awaken and it’s strong ! Can’t wait to see how this new big production movie will help Lupita’s career, but right now she’s in a good shape. Previous PostIt’s Cannes #DressPorn again !